The past few weekends had been pretty hectic for me. Like last Sunday where we had to go back to Ipoh to check on my mother who was admitted to the hospital for surgery. And that was after the Saturday which was spent in Bayan Indah (yes, again!) where we had a “culinary challenge” for my colleagues. More about that in a later post. Talking about Bayan Indah and Rohani Jelani’s classes, someone asked me whether I would actually replicate those recipes at home. Yes, of course I would and I have done so! From the very first class, I have cooked the Ayam Percik and Masak Lemak recipes several times at home – I just didn’t blog about those. As this weekend has been a travel-free one, I decided to cook lunch at home and invited the clan over. 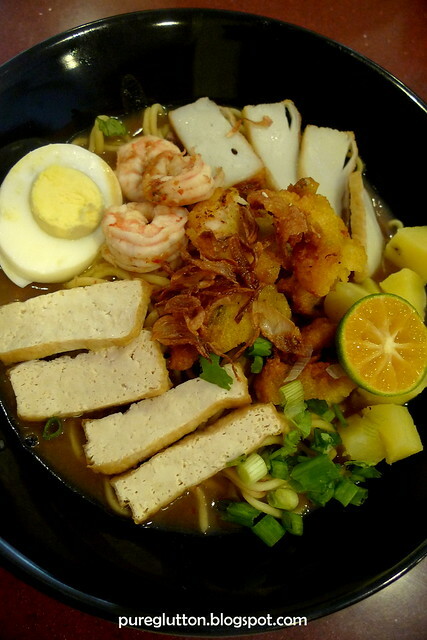 Only 2 items on the menu: Mee Rebus from my 2nd class with Rohani Jelani and Angkoo Kuih which I observed (but didn’t make) at the “culinary challenge” session with Rohani last weekend. For my Mee Rebus, I tweaked Rohani’s recipe a bit and used Pork Bones and prawn heads to make the stock. Yes, pork bones work too, for this recipe! I didn’t use any meat as part of the condiments… I substituted with fish cakes instead. 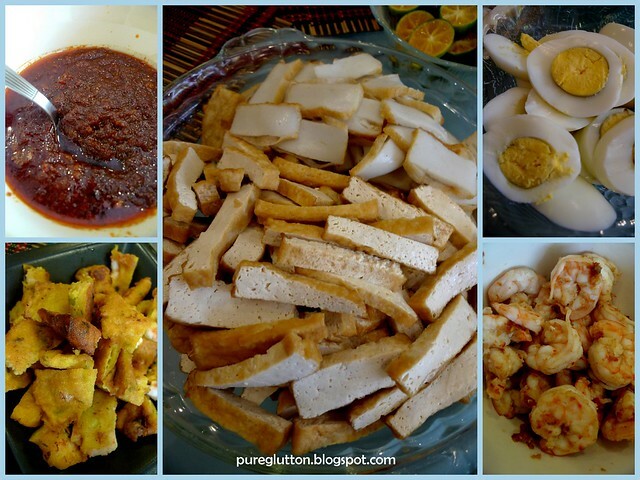 The rest of the condiments were as above – prawns, beancurd, boiled eggs and prawn fritters which DL helped to fry! Oh, I made my signature sambal too, to go with the Mee Rebus! 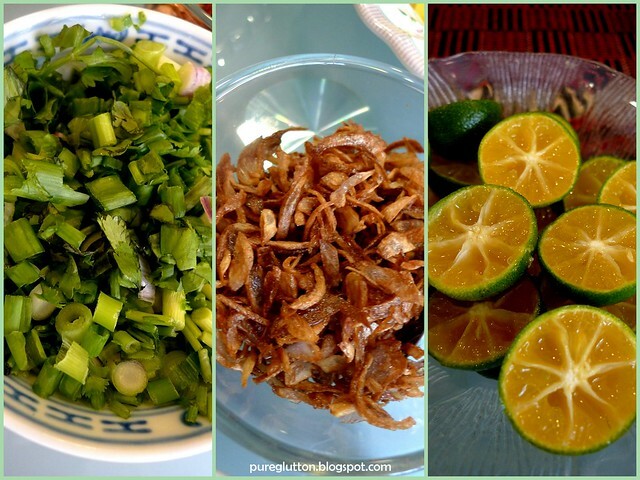 The other aroma enhancers for the Mee Rebus were chopped spring onions & chinese parsley, fried shallots and calamansi. 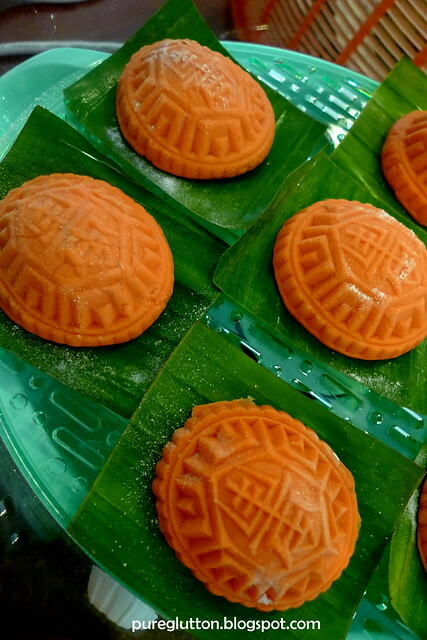 Now, the Angkoo Kuih… it was fun to make! This was the very first time I attempted this,after observing the class last Saturday. And they didnt even have to make the filling then – the filling had already been prepared by Rohani and her team! I cooked the mungbean filling the night before and chilled it in the fridge. 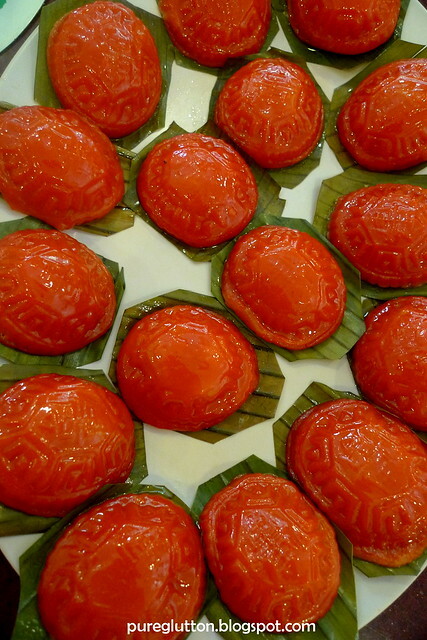 It turned out nicely firm and easy to form into balls before wrapping them with the glutinuous rice dough. But see how different the colour became after steaming? It turned into a darker glorious almost-RED shade! 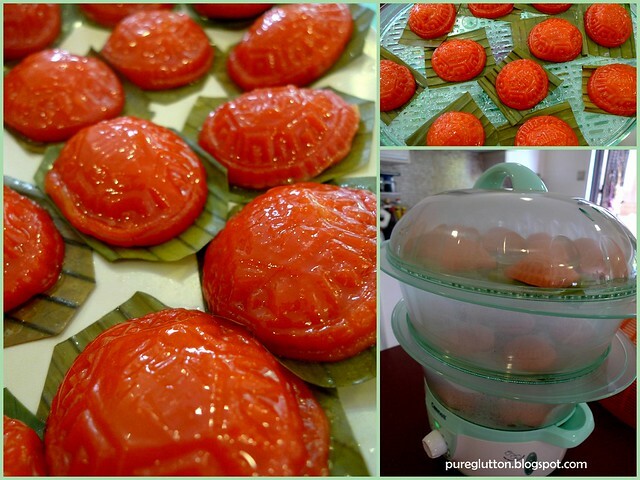 I’m so happy my angkoo kuih remained round and high after steaming! 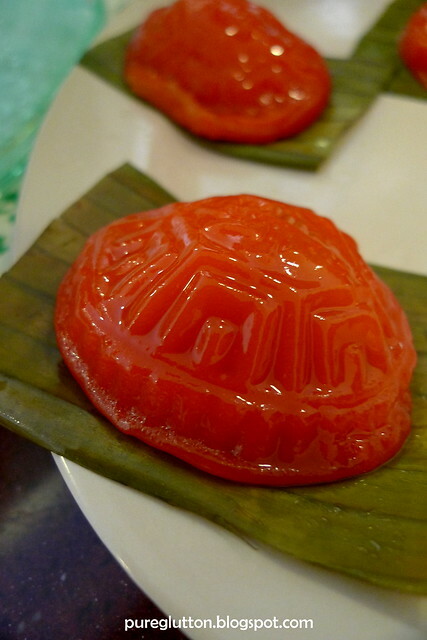 One of the challenges that my colleagues faced when they made their angkoo kuih at Bayan Indah last week was that their kuihs flattened out after steaming. But mine remained nicely firm, round and stood up proudly! If you want to know the secret to this, message me, hehe! So how, pass or not?? 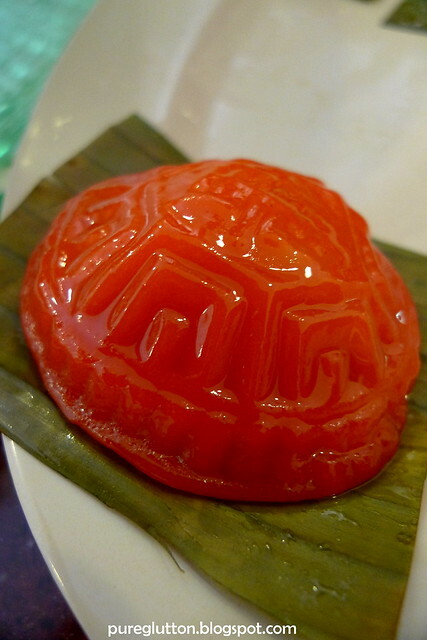 Angkoo kuih! The last time I had that was in the 1990s, back when I was still a kid in malacca. Back then, I didn't even know the name for mungbean! Here's wishing u more leisurely weekends to spend happily cooking! The angkoo glows! I kid you not!!! Fuiyoh! Rajin nya. Your angkoo got viagra is it? Hehehe. But looks lovely and well stuffed. Ur so talented lah. Congrats! Sean: Wow, since 1990's?? 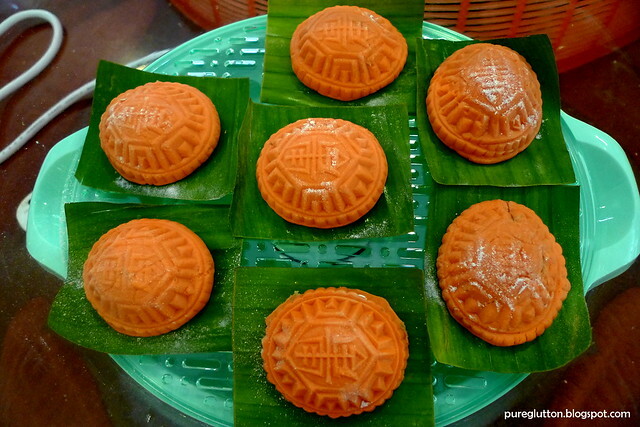 You must be not very fond of angkoo kuih then, haha! Qwazy: Hmmm… viagra won't be good for angkoos – they'd be too stiff – i just need them to be firm and perky 😛 (geee, does that sound right?!) LOL! 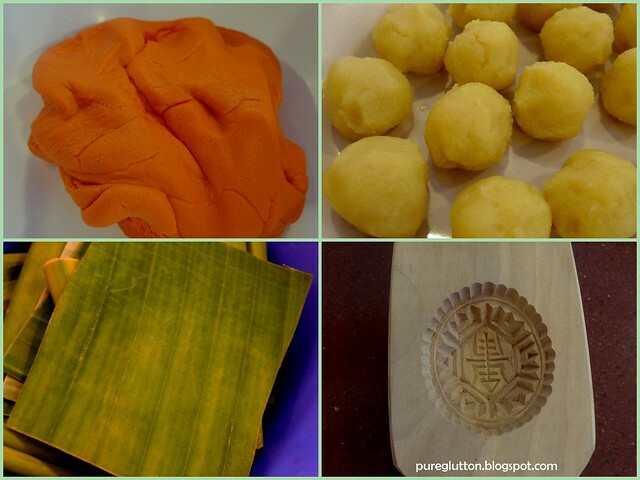 As for your homemade mee rebus and angkoo kuih, the pictures have certainly got my tummy growling! You are such a talented cook, dear! I love the ang koos! and the fact tht u did the filling yourself! OMG!! Ciki: I love them too, hehe! Jason: Can – tell me where to pass?! LFB: Yes, she's recuperating at home – thanks for asking :-)) And thanks for your kind compliments. TNG: Thank you! Actually, cooking the filling is quite easy & u can adjust the taste accordingly.